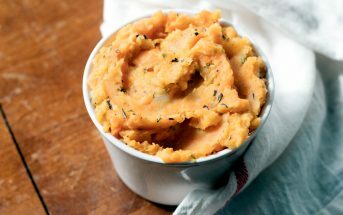 We tested out the Original, which has an amazing aroma. The flavor is bold and yet low caffeine, perfect for those ready to transition from coffee beans to cacao beans. I needed a touch of sweetener (just a few drops of stevia or drizzle of honey) to make it the perfect fit for my timid taste buds. The price is a bit indulgent (though not too far above the norm for loose leaf tea), but it makes a fabulous gift or indulgence to sip slowly on a relaxing cold-weather day. I would call myself a connoisseur of tea, if it weren’t for the fact that my taste buds aren’t very discerning. Instead, let’s just say that I love tea, almost all types of tea, and easily go through several pots a day. I don’t typically review tea here on Go Dairy Free, because pretty much all tea is dairy-free by nature … it’s what you add to it that can cause a milk invasion. However, I think Tisano Cacao Tea has dairy-free intrigue since it is chocolate tea. Yes, you heard me correctly, chocolate loose leaf herbal tea. 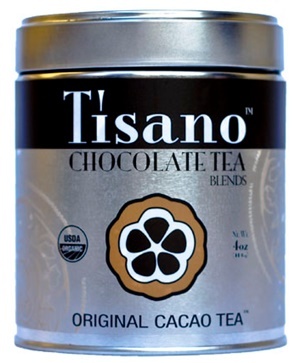 To clarify, Tisano Cacao Tea is not melted chocolate, hot chocolate, or any other rich and high-caloric beverage. It is tea, through and through, and chocolate in it’s purest form: 100% Organic Cacao Shell. There is no milk, no sugar, no other additives, just cacao bean in the Original, which is what I sampled. 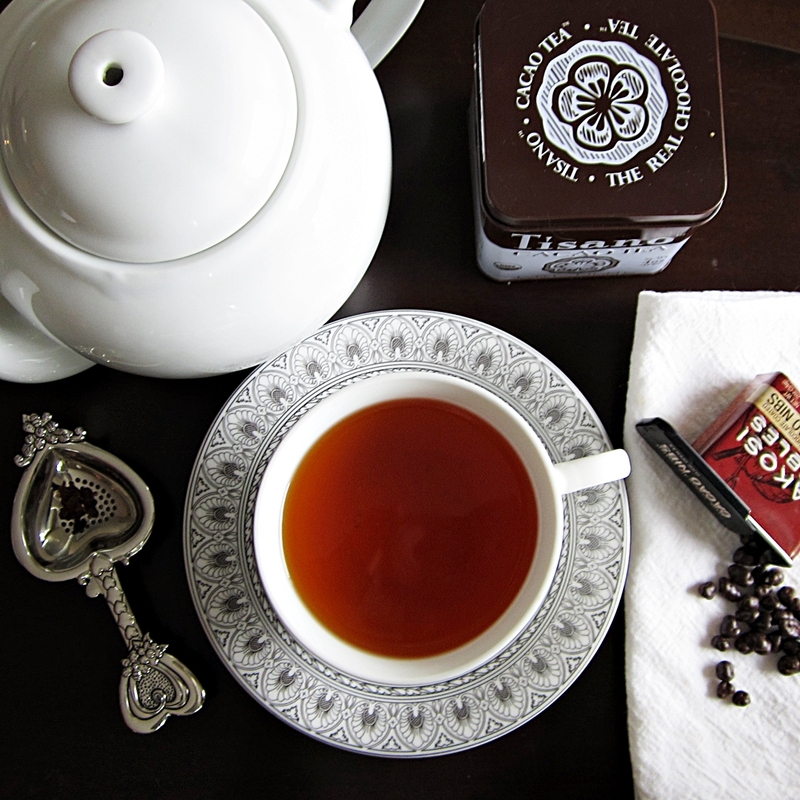 As the tea steeped, my senses were overjoyed by the amazingly clean and pure chocolate aroma. When sipped as is, the cacao flavor was a bit robust for my taste buds. However, a little sweetener goes a long ways with Tisano, heightening the chocolate sipping experience. I used just a few drops of stevia to keep the beverage sugar-free, but I am certain that honey, agave, or plain old sugar would be amazing with Tisano Cacao Tea. To note, I’ve never been a coffee drinker, but Tisano seems like it would be a very good transitional tea for coffee-lovers since it has that rich brewed bean taste, and yet has less caffeine (just 2 mg per 8-ounce cup). Cacao Tea gets to the source of what makes dark chocolate healthy. According to the company, it contains over 300 compounds including tannins, catechins, polyphenols and other antioxidant agents and Theobromine (a naturally occurring stimulant). Another tidbit from the company’s website, “Tisano’s innovative process uses proprietary methods to select the delicate fibrous shell around the cacao bean, which carries many of the same antioxidant agents as the cacao bean plus the added benefit of magnesium and potassium as well as a high dose of Vitamin D, which the cacao bean does not have.” However, to get the Vitamin D, you will need to eat the crunchy cacao shells that remain once brewed. Since Vitamin D isn’t water-soluble, it isn’t dispersed in the tea. The packages for the teas are very attractive and gift-worthy, plus they’re suitable for most recipients since they are vegan, paleo and made without top allergens. They are a bit of an indulgence price-wise for everyday consumption, but each canister does make quite a bit of tea – I didn’t run out quickly. Tisano Cacao Tea is available in several chocolate blends! See the summary box above for current flavors. 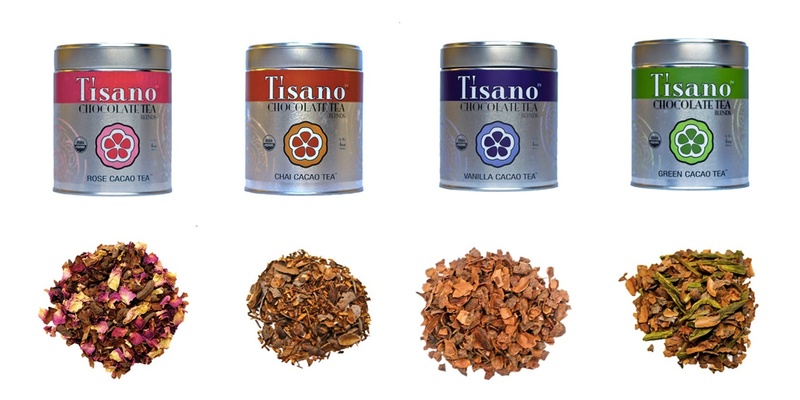 Certifications: Tisano Cacao Tea is Certified Organic, Certified Vegan, Certified Fair Trade, and Certified Kosher Parve. Dietary Notes: By ingredients, Tisano Cacao Tea is dairy-free / non-dairy, egg-free, gluten-free, nut-free, peanut-free, soy-free, vegan / plant-based, vegetarian, and paleo. Nonetheless, always read the ingredient statement and check with the company on their manufacturing processes for all varieties if potential allergen cross-contamination is an issue for you. Processes and labeling are subject to change at any time for any company / product. 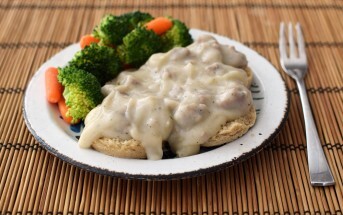 For More Product Information: Visit the Tisano website at www.tisano.com.